Arsenal host Napoli at the Emirates for the first leg of their Europa League quarter-final tie on Thursday night, but Unai Emery has injury concerns. The Gunners suffered a disappointing defeat to Everton on Sunday, which was undoubtedly a blow to their hopes of finishing in the top four in the Premier League this season. Both Granit Xhaka and Laurent Koscielny missed that encounter, while they were absent for the 2-0 win over Newcastle prior to that as well. 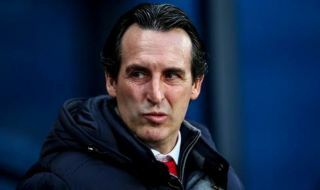 The pair were last in action in the win over Rennes before the international break, and Emery seemingly faces an anxious wait to find out if they will be available for selection in midweek. As noted by the club’s official site, both experienced stalwarts will be assessed before the game, with Koscielny struggling with a foot injury while Xhaka is nursing a groin problem. Given the experience and quality that they offer, Arsenal will undoubtedly hope for a double injury boost ahead of facing Carlo Ancelotti’s side in what promises to be an enthralling tie. The Gunners also face Watford on Monday night, and so in the interests of the battle for Champions League qualification, Emery will hope that he can get as close to full strength as possible for the all-important run-in. With the return leg in Naples next week, Koscielny and Xhaka will certainly be welcome additions to the squad for the next seven days in order to keep Arsenal on track to achieve their objectives this season. For now though, it will seemingly go down to the wire to determine if the duo are fit to feature, while Emery will also be hesitant to risk rushing them back and suffering longer-term issues. I’m on my hands and knees please oh please oh please play Xhaka ? Well, the good thing is Torreira will be available tomorrow. It’s just sad that Xhaka and Koscielny are still doubts.